Future Pro Football Hall of Fame inductee Tom Brady is a five-time Super Bowl champion and a four-time Super Bowl MVP. A three-time regular season MVP, Brady is one of the winningest quarterbacks in NFL history and will go down as one of the best passers the sport has ever seen. 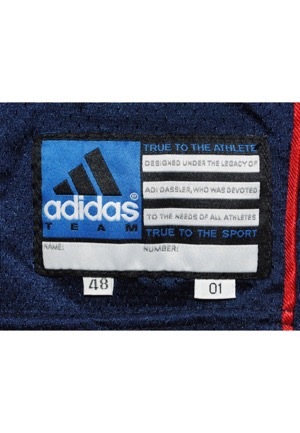 On the front left tail is the Adidas manufacturer’s tag with two attached flag tags reading the size “48” and the year “01”. On the left inseam is a materials flag tag with washing instructions and size “48”. On the v-neck is the official “NFL” shield logo embroidered. 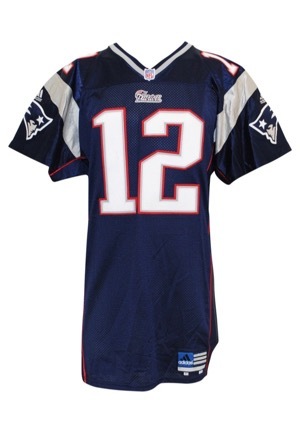 Below reads, Patriots” in white on blue stitching. The player number “12” appears on the front, back and on both shoulders. These are done in white on grey on red triple tackle twill. 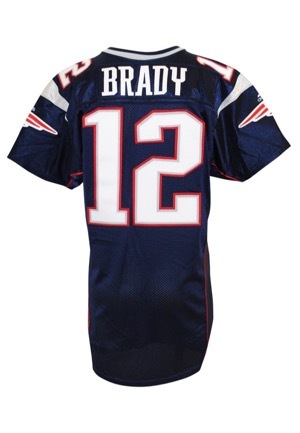 Across the back reads the player name, “BRADY” in white tackle twill on a navy blue nameplate. 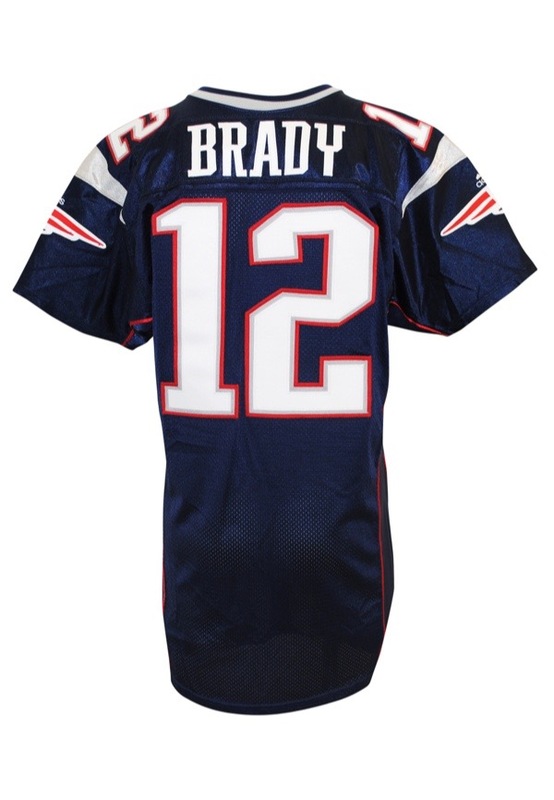 Below the player number on each shoulder is an “adidas” logo embroidered and the Patriots team logo. This jersey is properly tagged, was presented to us as game-used and in our opinion shows light use. Accompanied by an additional LOA grading the jersey an A5.